This reflective Glass product is manufactured by a process known as ” on-line Pyrolytic coating” wherein silicon-based coating applied to the Glass surface by the means of pyrolysis. 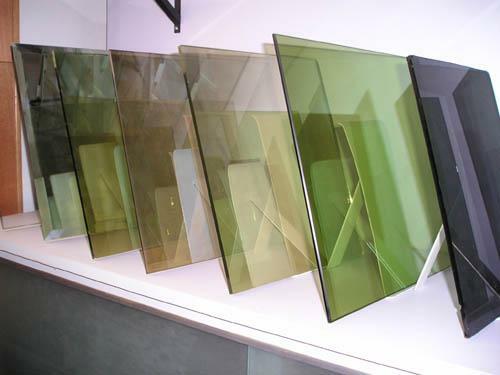 Also known as hard coating, the process fuses precious metal oxides onto the surface of the float Glass at high temperature while the Glass is in formation. Reflective coated Glass is to coat multilayer of metal and metal oxide layers on Glass surface by vacuum magnetron sputtering technology. It can control visible light transmission and block solar radiation from entering the interior so as to reduce energy consumption of air-conditioning. In addition, it has many color options for modern building design. Its main function is to reduce the Glass shading coefficient and restrict direct solar radiation transmission. SIZE(mm) Any size based on availability and factory terms. ALPHAGLASS is a leading trading company based in United Arab Emirates, considered as the most reliable supplier of all types of Aluminium, Glass, Processed Glass and Glass & Aluminium Accessories.